Dr. Mark Mallory inducted into Royal Society of Canada! Dr. Mallory may look as small as a flower in this image, but you better believe he is a big deal. Although he will always remain 'Man of the West' to some, Dr. Mark Mallory, a founding member of the High Arctic Gull Research Group, was recently awarded entrance into the Royal Society of Canada. 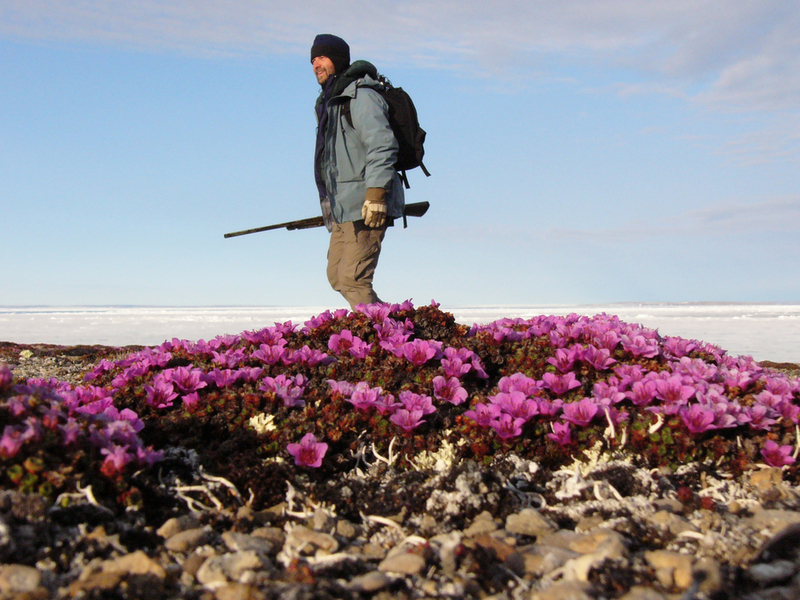 We are not sure if this title comes with a castle, a license to kill, or any such tangible or practical benefits, but what is beyond a doubt is that Mark's contributions to Arctic science over the first part of his career are recognized at the highest levels. His dedication to research as well as his unwavering support of a large team (cabal?) of students at Acadia is admired and appreciated by all who know him, and we are absolutely thrilled for his success. Please check out this awesome video of Mark modelling a variety of sporty outfits while he throws some major shout-outs to Hinterland Who's Who and Jacques Cousteau. A huge congratulations to Dr. Mark Mallory, Fellow of the Royal Society of Canada!